A lot of entrepreneurs have tried to start online review websites but have failed more often than not. As customers, we all would like to read genuine reviews before making any purchase decision. So why are startups not able to sustain themselves? Some points I can think of are listed below. Gamification – This, or the lack of it, is the primary reason for online review startups not being able to generate user traction. Getting a user to write a review without offering an incentive is a far-fetched idea. 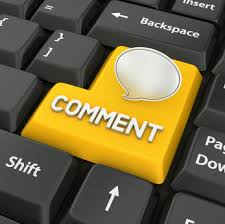 Users need to be given the right incentives to come onto the website and write a review. Revenue Visibility – Getting user traction through incentives tends to burn a lot of money. On the other hand, building a revenue model if difficult and revenue would generally take a lot of time to start rolling in. For this reason, a lot of investors are vary of investing in pure online review websites. Competition – The biggest competition such websites face are from different websites selling products and services or offering users different services in different niches. These competitors provide some greater value to the user (such as ecommerce, bookings, information discovery etc.) along with user reviews. Hence a pure play review service finds it very difficult to get users to use it and get hooked onto it.